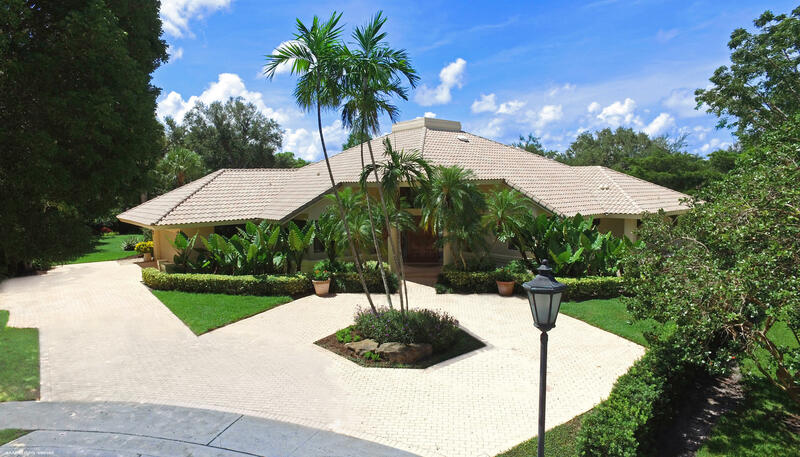 All Les Jardins homes currently listed for sale in Boca Raton as of 04/21/2019 are shown below. You can change the search criteria at any time by pressing the 'Change Search' button below. "Internationally acclaimed Marc-Michaels designed custom home fully rebuilt from the slab in 2018. 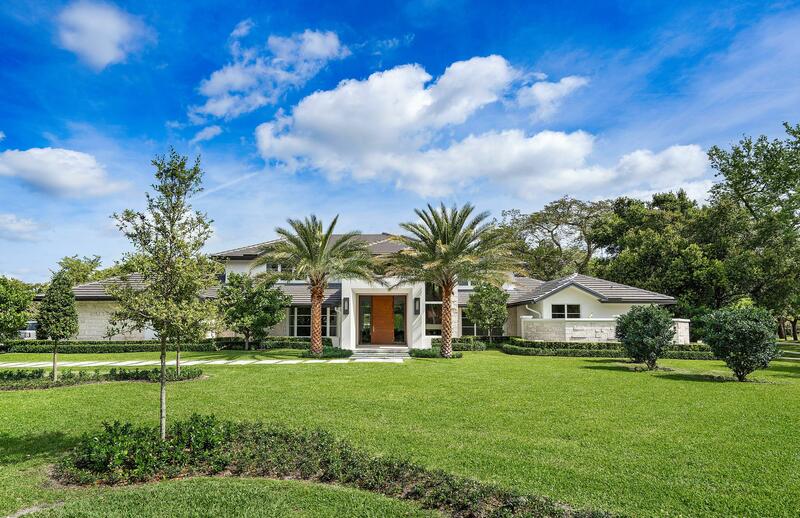 Situated on a lush 0.82 acre lot backing to a private park, this modern, light-filled home showcases meticulous attention to detail, from the design, proportions, and premium finishes, to advanced engineering and wellness features. 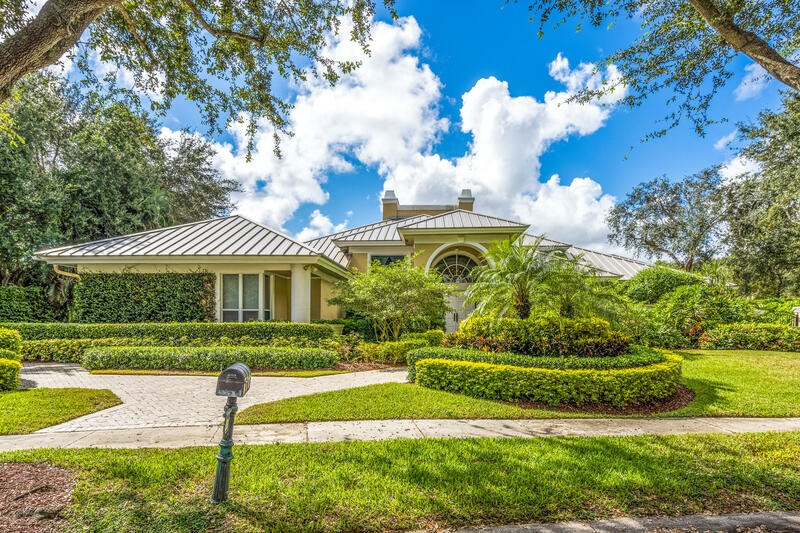 Set within central Boca Raton's premier gated community of Les Jardins, just 5 miles from the beach and minutes from Pine Crest and Saint Andrews schools, Whole Foods, and world class shopping and dining at Town Center Boca Raton. This home features natural coral stone accents on an architecturally transitional exterior, complemented by limestone, marble and wide plank white oak flooring throughout a modern interior. Custom 10' solid Mahogany and glass front entry"
"WOW ! THIS AMAZING PROPERTY WAS CUSTOM BUILT BY THE OWNER'S FATHER! THE MAIN HOME IS 1 STORY & FEATURES 4 BEDROOMS , 4.2 BATHROOMS, A STAFF KITCHEN, 2 OFFICES, AND 2 FAMILY ROOMS,! THE 22 FEET LIVING-DINING ROOM CEILINGS & NUMEROUS FLOOR TO CEILING WINDOWS ALLOW FOR AN ABUNDANCE OF NATURAL LIGHT! THE FLORIDA ROOM WAS ENCLOSED & A NEW AIR CONDITIONER INSTALLED FOR GREATER LIVING AREA! THE CUSTOM DESIGNED POOL IS BOTH HEATED & COOLED! AN EXTENSIVE COVERED VERANDA OUTLINES THE BACK OF THE MAIN HOME! ENJOY FEEDING THE KOI FISH IN THEIR OWN POND! THE ATTACHED GUEST HOME HAS 2 EN-SUITE BEDROOMS ON THE 1ST FLOOR & 2 EN-SUITE BEDROOMS ON THE 2ND FLOOR WITH A KITCHEN! THERE IS PARKING FOR 10 CARS , A GENERATOR, AND HURRICANE PROTECTION FOR EVERY OPENING! THE PIE SHAPED LOT IS .70 OF AN ACRE!" 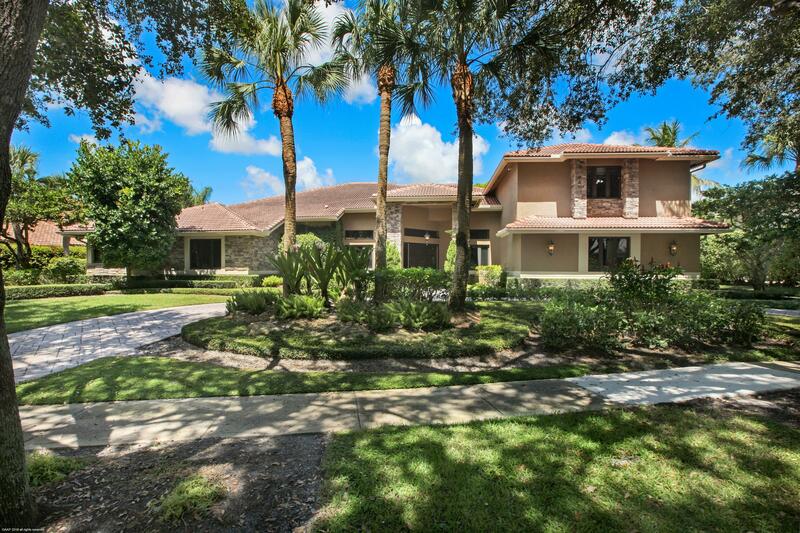 "This spectacular, well-maintained two-story 6BR home in beautiful Les Jardins has it all. Newly renovated marble Master Bath. Perfect layout for living and entertaining. Light and open, with 16' ceilings and crown molding in living areas. Features media room, 1200-bottle wine storage room, upstairs guest suite, office, extra storage, and 2 playrooms. Spacious Master Suite has large bath and 3 walk-in closets. Tankless water heaters, 25KW backup generator, new hurricane-code garage doors, newer roof, driveway, and stone patio. Salt water pool, impact glass on second floor and part of first floor. Lushly landscaped with French doors opening to pool and patio. 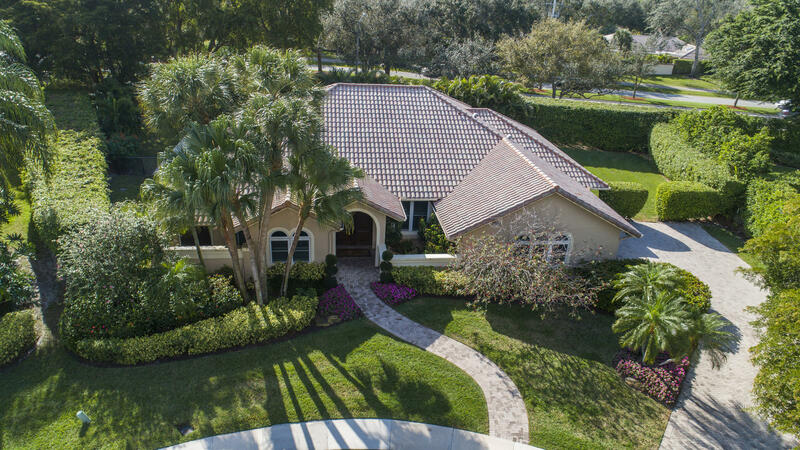 Les Jardins is centrally located, close to shopping, dining, gyms, and A-rated public and private schools, and has parks"
"This incredible 1/2 acre estate sits on the largest park in Les Jardins!. 6BR, 5.5BA plus study, play room,/loft and 3 car garage. Beautiful oak floors throughout the downstairs. Living room features working fireplace with two story windows overlooking the expansive views of the park. Home is light and bright. Master, office and 3 bedrooms downstairs all with bamboo flooring. Large kitchen and family room with budded class showcasing the beautiful park views.Completely remodeled pool and patio area with slate deck, modern style, oversized salt water heated pool with fountain, 2 covered areas plus gazebo. A true oasis! Two bedrooms upstairs with bamboo wood flooring and large playroom/loft. Downstairs office complete with cherry wood built ins." "This contemporary, one story home is ready for move in! New kitchen, new bathrooms, new flooring, new interior doors and 3 new 2018 ac units are just some of the upgrades in this home. Other features include, large his and her master bedroom closets, bonus room off the master bedroom, kids playroom, french doors through out, metal roof (approx 6 years old), natural gas, circular dive way and a large outdoor pool/patio area with plenty of space for seating and entertaining." 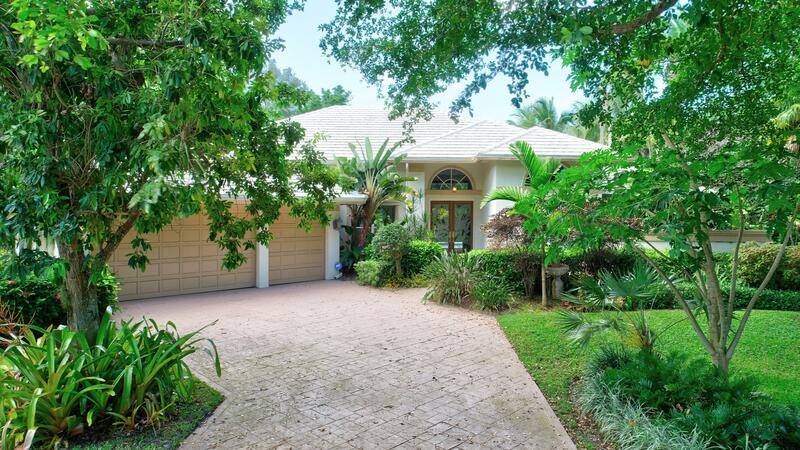 "THIS HIGHLY UPGRADED RESIDENCE W/ BEAUTIFUL NEW METAL ROOF & IMPACT WINDOWS IS SITED ON A LUSHLY LANDSCAPED 1/2 +/- ACRE LOT, IN LES JARDINS, BACKING TO A CANAL W/ GREENSPACE BEYOND GIVING PRIVACY TO THE OPEN POOL AREA. DOUBLE DOOR ENTRY OPENS TO THE LARGE FORMAL LIVING ROOM W/ SOARING CEILINGS & FEATURES MUSEUM QUALITY HAND PAINTED MURALS, A LARGER ONYX FACED FIREPLACE AND A WALL OF FRENCH DOORS OPENING TO THE POOL AREA. THE FORMAL DINING ROOM IS SERVED BY THE FABULOUS CHEF'S KITCHEN, WHICH OPENS TO THE FAMILY ROOM AND FEATURES MAGNIFICENT CABINETRY, GRANITE COUNTERTOPS, SUBZERO REFRIGERATOR AND VIKING GAS COOKTOP & DOUBLE WALL OVENS. THE FAMILY ROOM W/ WETBAR, OPENS TO A LARGE INDOOR CATERING KITCHEN W/ BARBEQUE AND WALL OF FRENCH DOORS, A LARGE, FANTASTIC PLAYROOM IS"
"THIS ELEGANT RESIDENCE IS SITUATED ON A PRIVATE CUL-DE-SAC LOT IN THE COVETED TREE-LINED STREET COMMUNITY OF LES JARDINS. LES JARDINS IS CONVENIENTLY LOCATED IN CENTRAL BOCA RATON CLOSE TO THE BEST SCHOOLS, SHOPPING, RESTAURANTS AND I-95. RECENT RENOVATIONS INCLUDE A NEW ROOF, GOURMET KITCHEN, IMPACT WINDOWS, CREMA MARFIL MARBLE FLOORING THROUGH-OUT ALL MAIN LIVING AREAS,ALL NEW SOLID CORE DOORS AND TRIM WORK, NEW PAVER CIRCULAR DRIVE PLUS MANY OTHER UPDATED FEATURES(SEE ATTACHED LIST). THE LARGE COVERED PATIO AREA OVERLOOKS A PRIVATE LUSH TROPICAL BACK YARD AND OVERSIZED SWIMMING POOL WITH RAISED SPA AND ALL NEW TRAVERTINE DECKING." 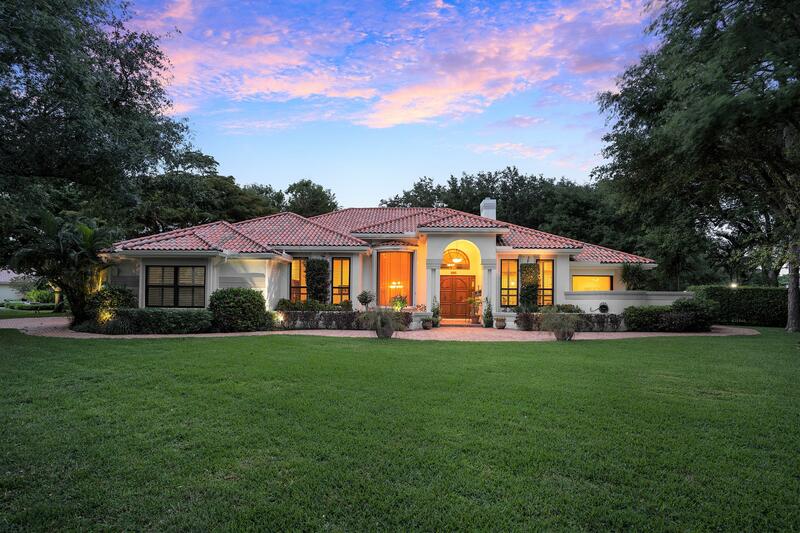 "Beautiful transitional decor in this remodeled Estate home on 1/2 acre in highly sought after Les Jardins, with 6 bedrooms and 6.5 baths plus office off master bedroom. A three-way split floor plan makes this the perfect family home. Large, open concept remodeled kitchen with center island and walk-in pantry, all stainless steel appliances with new Viking gas rangetop and new subzero refrigerator, double ovens, and Bosch dishwasher. Kitchen boasts breakfast nook and counter seating and leather Taj Mahal quartzite countertops. Hardwood floors throughout main living areas, 2 tank-less water heaters, house generator, alarm system with central monitoring, wood burning fireplace, central vac system,"
"This beautiful, perfectly maintained residence is sited on an oversized, lushly landscaped .60 +/- acre lot in prestigious, sought after Les Jardins. Chicago brick walkways lead to the double door entry which opens to a welcoming foyer and large living room w/ Coral Stone Clad Fireplace and wall of glass and French doors filling the home with natural light, and featuring gorgeous views of the beautiful pool area and exquisite landscaping in the large private backyard. The sumptuous and tranquil master suite with generous his and her closets shares these wonderful views through oversized impact windows. The chef's island kitchen with granite countertops opens to the oversized family room with a second coral stone clad fireplace and built in bookshelves, and again spectacular views of the"
"Best priced estate in Les Jardins..on large interior cul-de-sac lot. With volume ceilings, 8ft doors and massive hexagonal living room, 4 bedrooms, 3 full baths, split bedroom plan and completely renovated in transitional decor. 4th bedroom being used as Library. Large family room with floor to ceiling coral stone fireplace. Tranquil outdoors with total privacy and lush landscaping. All hurricane impact sliding doors. Shows impeccable and with pride of ownership." 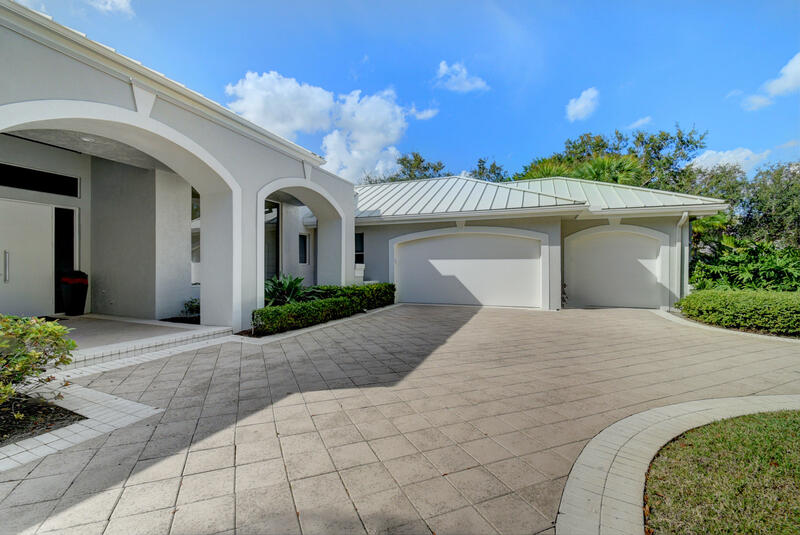 "Price reduced for immediate sale.Rare value in prestigious Le Jardins.Renovated 4 Bedroom, 3 Bath residence on cul de sac has complete impact windows and doors, including garage door and 2 newer Rheem AC units. Remodeled kitchen with quality cabinetry, granite countertops, GE Monogram appliances. (Natural gas available.) Two bathrooms recently remodeled with designer finishes. Renovated pool area with expansive travertine decking, summer kitchen with natural gas grill, and loggia with cypress ceiling. A split plan secludes the master suite including a bedroom with French doors to the pool, expansive his/her built-out walk-in closet; spacious master bath with soaking tub, glass-enclosed shower and dual sink vanity. The residence is sited far back from the road on a meticulous .41 acre,"
"OWN THIS HOME FOR $110K DOWN AND PAYMENTS LESS THAN $7,800/Mo! * This Tropically Landscaped home is located in the highly desirable Boca Raton community of Les Jardins, a stellar community of 121 homes with beautiful tree lined streets, five parks & walking trails, playground, clubhouse, pool, and 2 HAR-TRU tennis courts.. Les Jardins is located in Central Boca Raton, close to shopping, dining, gyms and the beach is only a few miles away. Great public and private schools. Natural gas is available. Come see a home ready to be made into your peaceful refuge. Roof replaced in November 2017. .49 Acres. *Not a commitment to lend. Restrictions apply. Call for details."